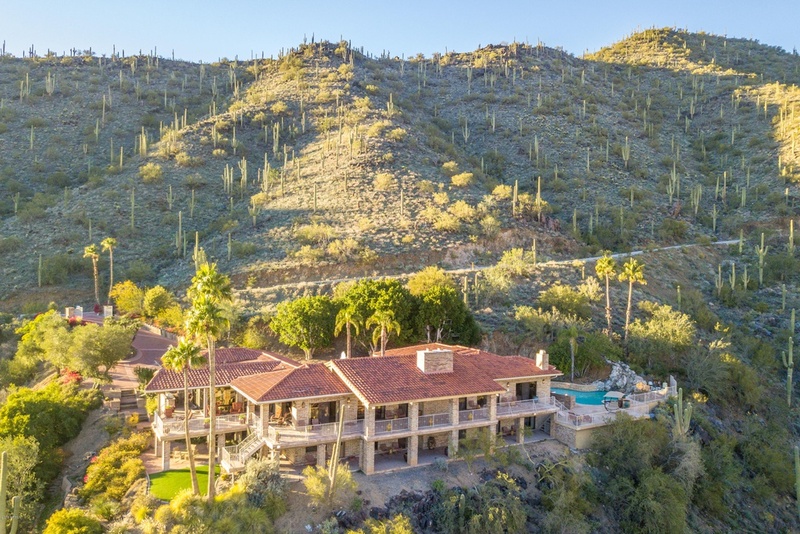 Designed by Bill Hayer Architecture, this newly built modern mansion in La Quinta, CA is situated on just over an acre of land and boasts stunning views of the neighboring Tom Fazio-designed golf course and the not-so-distant snow capped mountains. 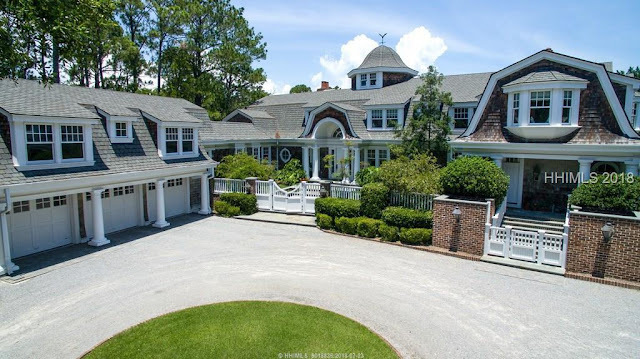 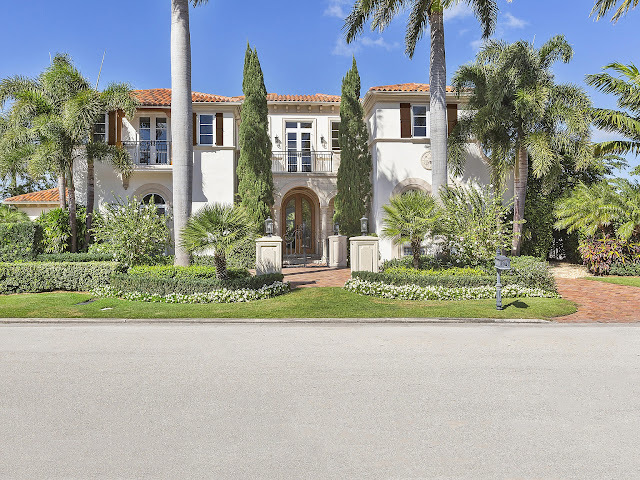 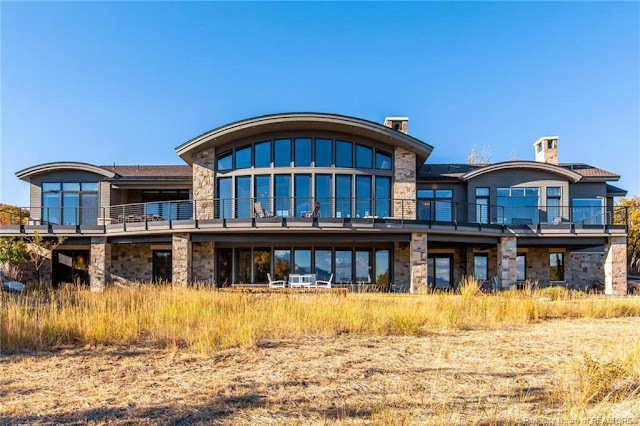 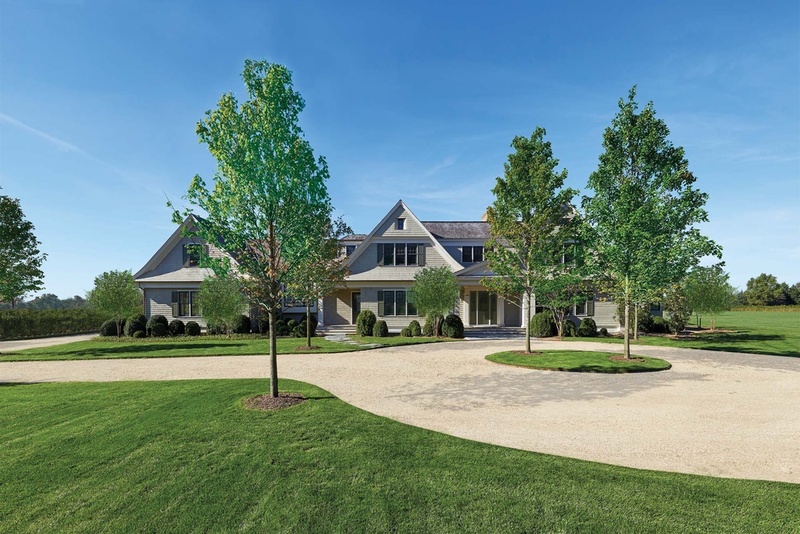 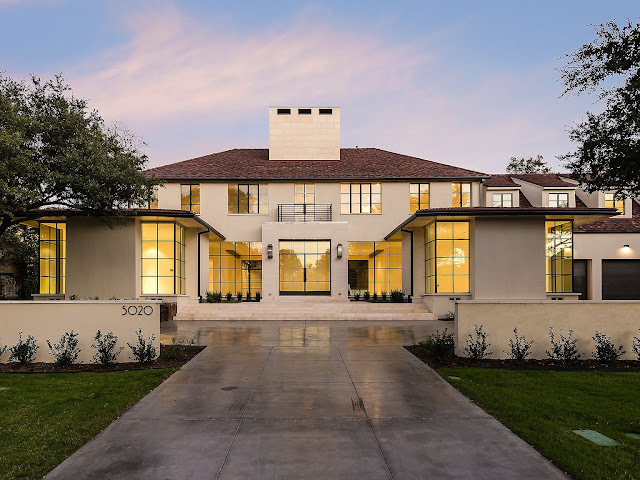 The stunning home features approximately 11,316 square feet of living space with seven bedrooms, seven full and three half bathrooms, an open floor plan that includes the spaces of the living room, dining room, and gourmet kitchen. 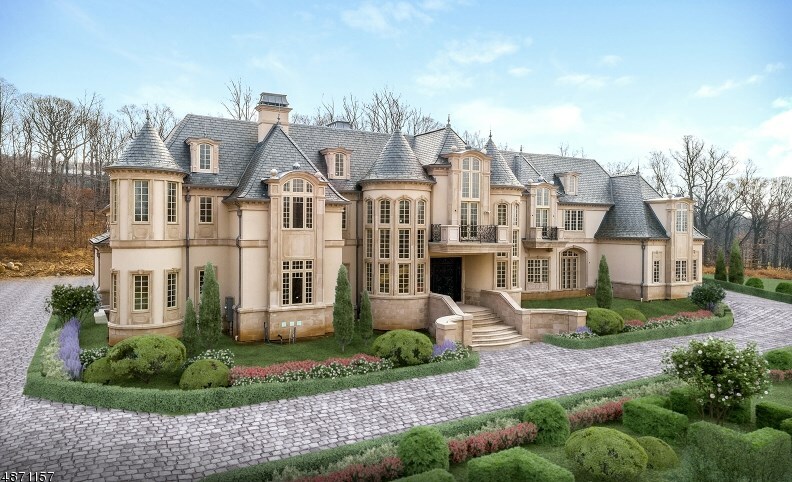 There are additional formal spaces and a four-car garage. 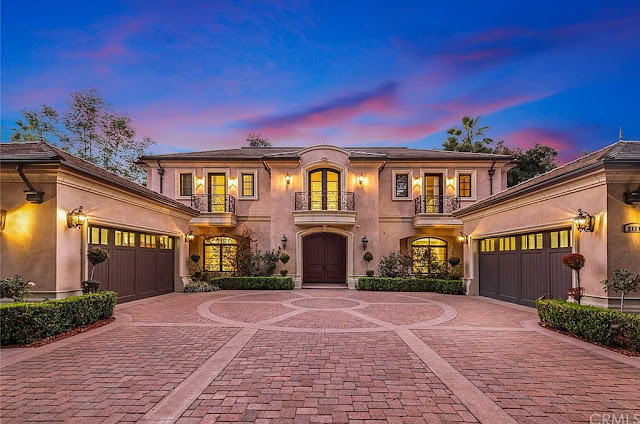 Outdoor features include two separate motor courts (one is gated) that can accommodate up to 15 cars, courtyard with an edgeless serenity pool and video wall, covered and open patios, BBQ kitchen, fire pit, and another swimming pool with an infinity-edge and spa. 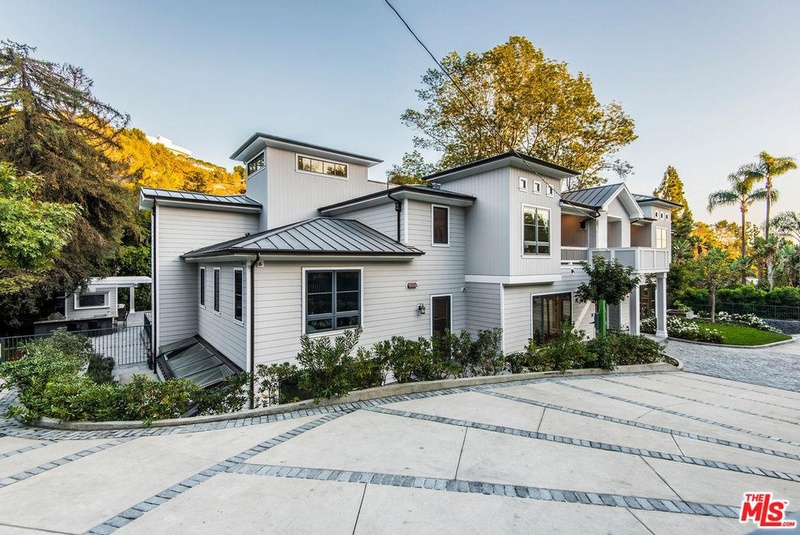 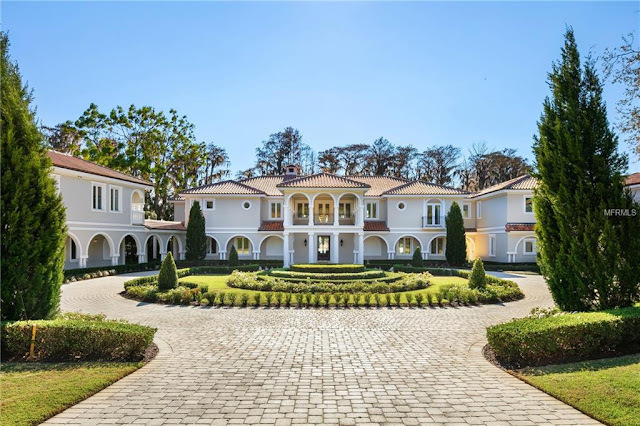 This French-inspired stucco mansion in Arcadia, CA was built in 2014 and is situated on just over a half acre of land. 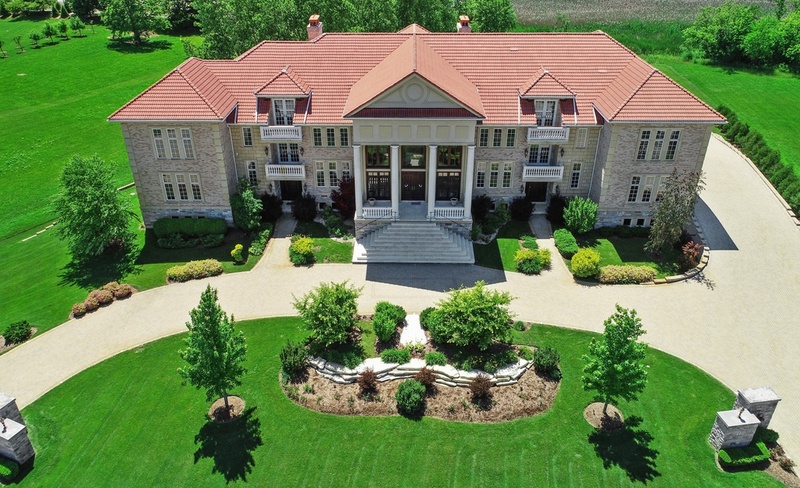 It features approximately 9,174 square feet of living space with seven bedrooms (including two master bedrooms), eight full and one half bathrooms, a rotunda-style foyer with bridal staircase, an elevator, formal living room with fireplace, formal dining room, butler's pantry, gourmet kitchen with stainless steel appliances, a separate catering kitchen, breakfast room, wine room, family room, wood paneled home office, massage room, an eight-seat home theater, two two-car garages, and much more. 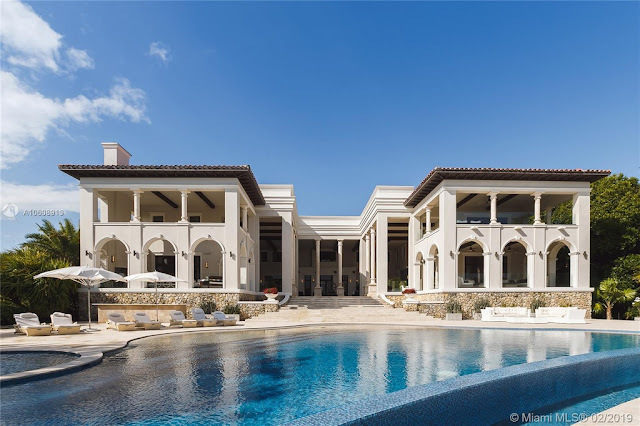 Outdoor features include two gated entrances, motor court, court yard with fountain, front and rear balconies, rear loggia, patios, pergola, and an elevated infinity-edge swimming pool with spa. 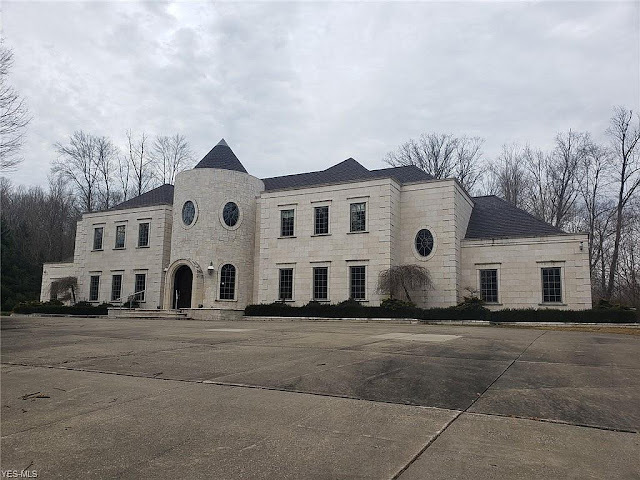 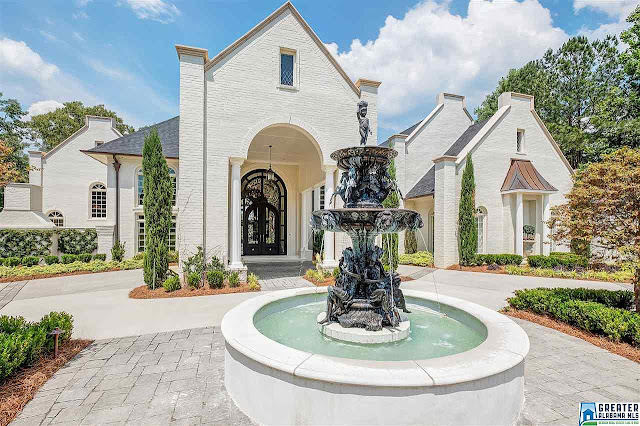 Located in Brentwood, TN, this European-inspired mansion was built in 2011 and is situated on two acres of land in a gated community. 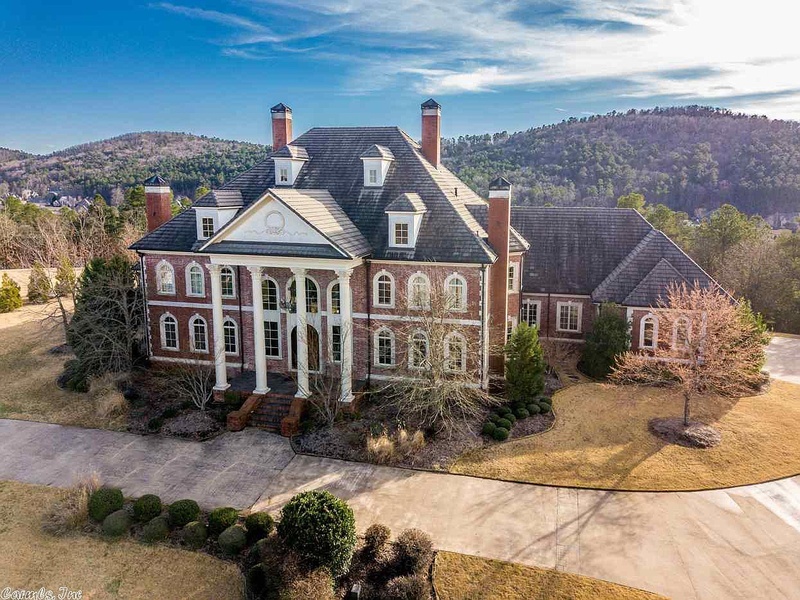 It features approximately 9,625 square feet of living space with six bedrooms, six full and three half bathrooms, two-story foyer with winding staircase, an elevator, two-story great room with fireplace, formal dining room, wet bar, gourmet kitchen with stainless steel appliances, rear staircase, family room with vaulted ceiling and fireplace, wood-paneled library with fireplace, finished lower level with home theater and a game room with kitchen, a screened porch with fireplace, a four-car garage, and much more. Outdoor features include a motor court, covered front porch, and a rear patio. 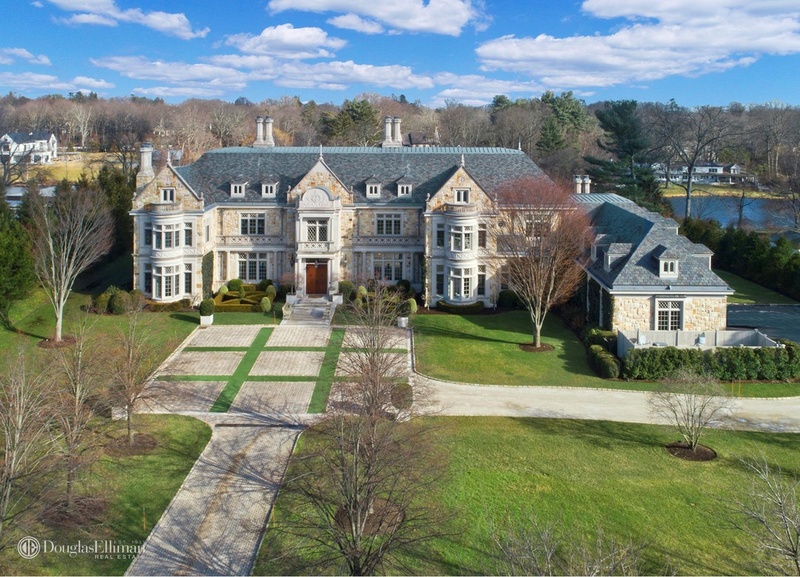 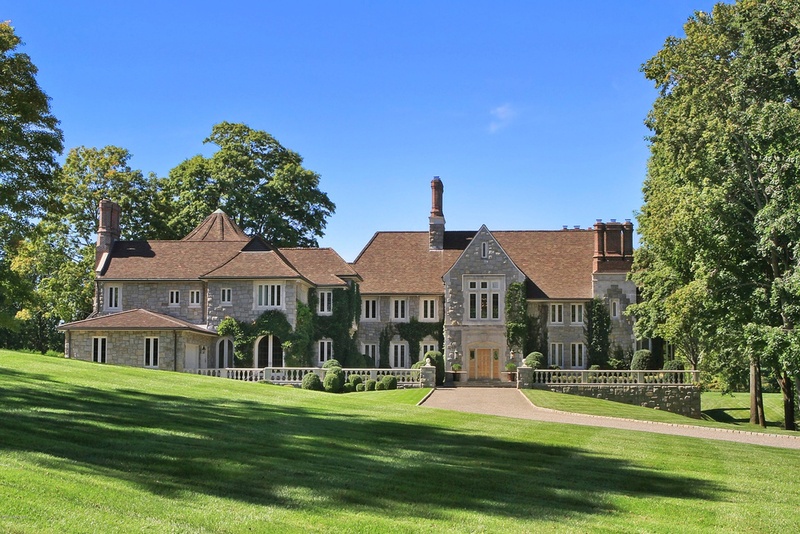 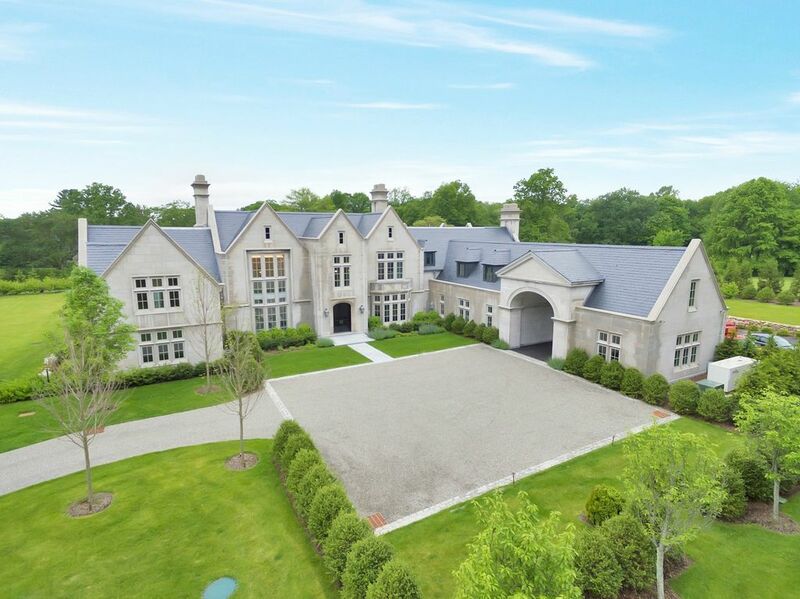 This French-style stone mansion in Franklin Lakes, NJ was built in 2013 and is situated on two acres of land. 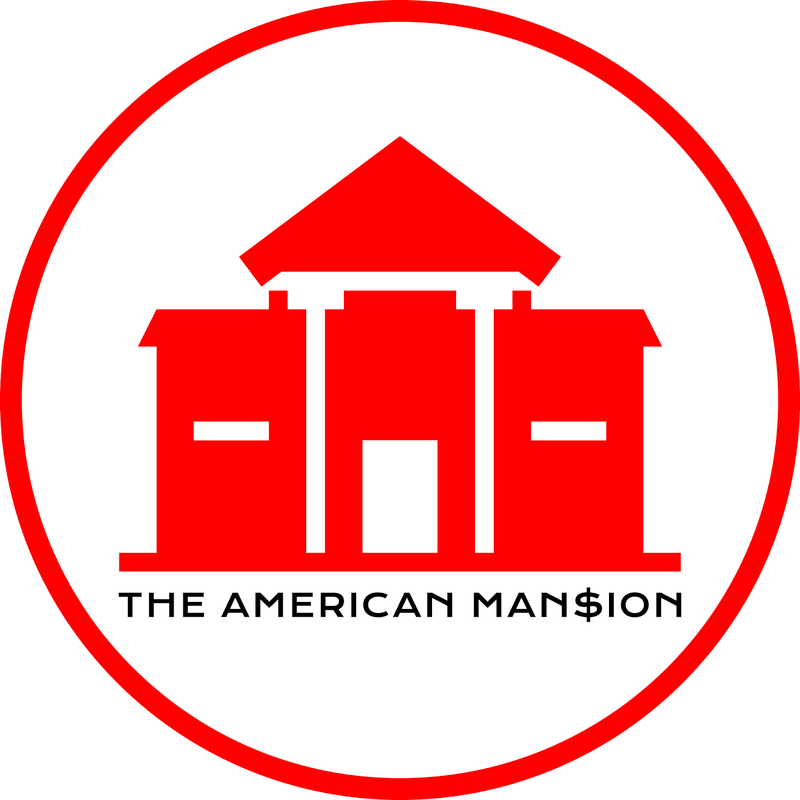 It features over 13,000 square feet of living space with six bedrooms, eight full and three half bathrooms, a stair hall with staircase, two-story great room with exposed distressed beams and fireplace, formal dining with fireplace, butler's pantry, gourmet Habersham kitchen with stainless steel appliances, breakfast nook with built-in seating, family room with fireplace, pine-paneled home office, expansive lower level, and garage parking for four cars. 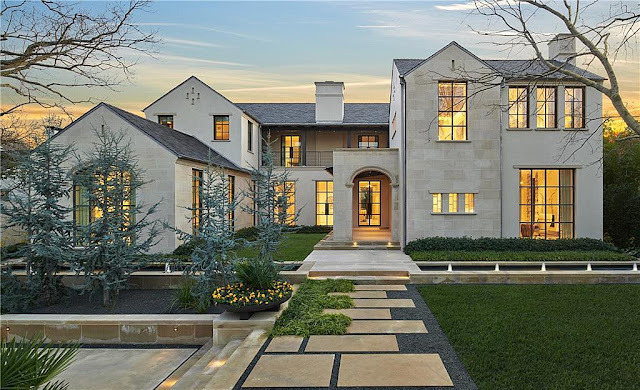 Outdoor features include two motor courts, terrace, patio, swimming pool with spa. 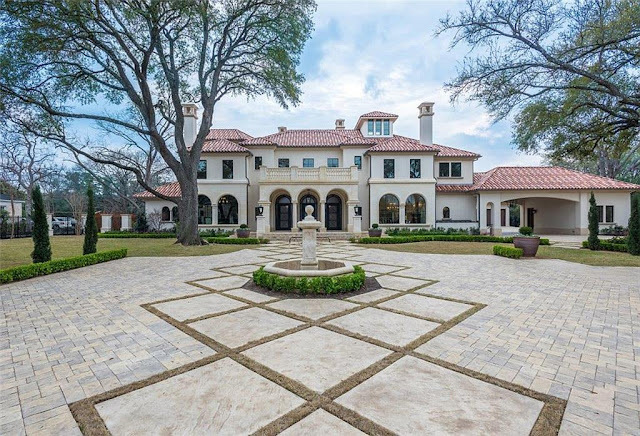 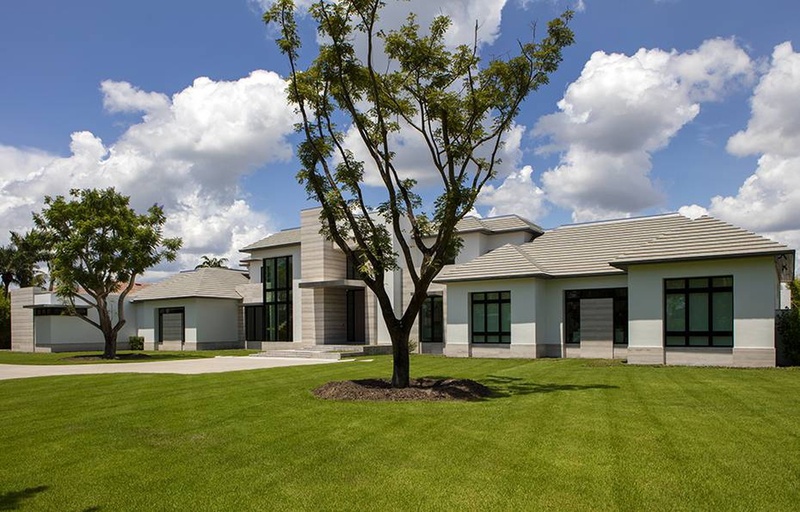 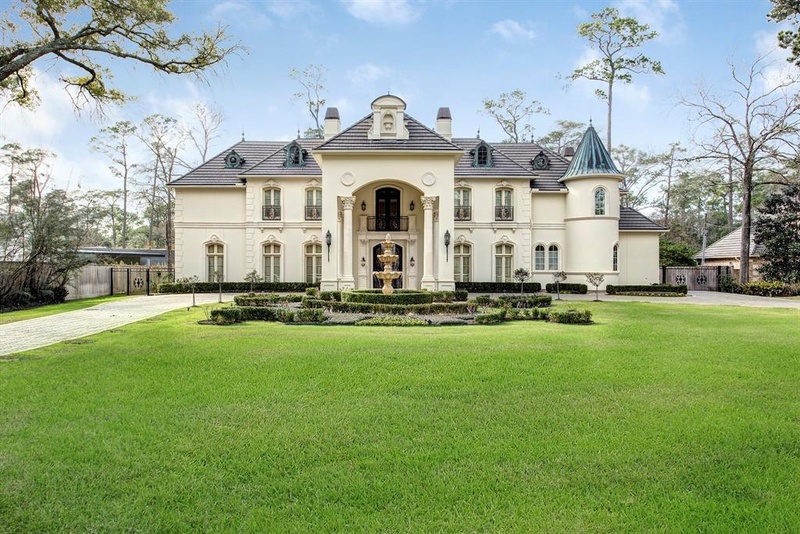 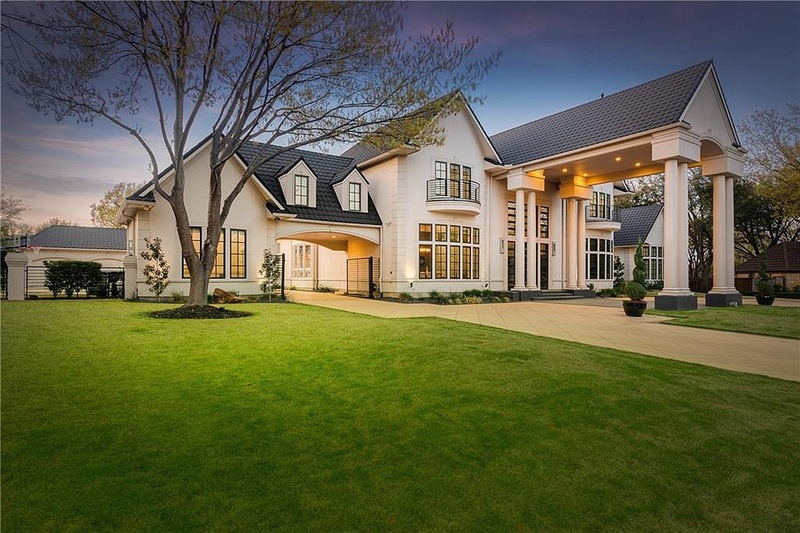 This French-inspired mansion in Houston, TX was built in 2010 by King Residential and is situated on over an acre of land in Hunter's Creek. The stone and stucco home features approximately 12,061 square feet of living space with five bedrooms, five full and three half bathrooms, two-story reception hall with Y-shaped floating staircase, elevator, formal living and dining rooms with fireplace, gourmet kitchen with breakfast nook, a separate catering kitchen with stainless steel appliances, family room with fireplace, library/study, an eight-seat home theater, exercise room, a four-car garage and more. 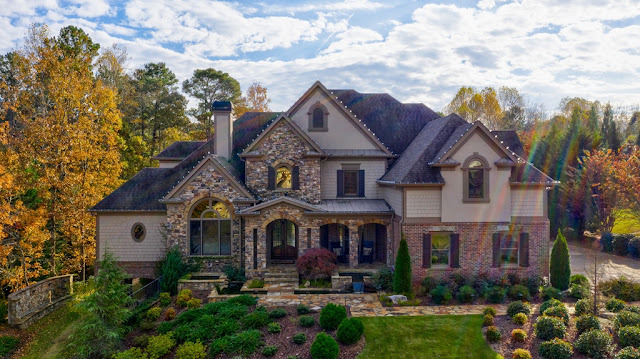 Outdoor features include a porte-cochere, fountain, balconies, covered patio, pool patio, BBQ kitchen, and a swimming pool with deck jets.